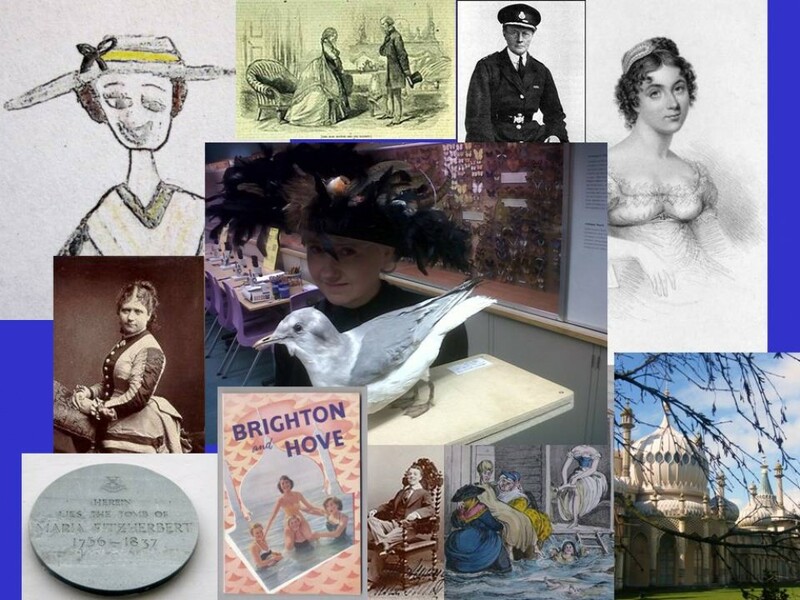 At the start of every Notorious Women of Brighton Walk I always tell people not to expect a parade of role-models, that some of the women I’ll be talking about haven’t earned their place on the tour through doing good works and achieving great things. 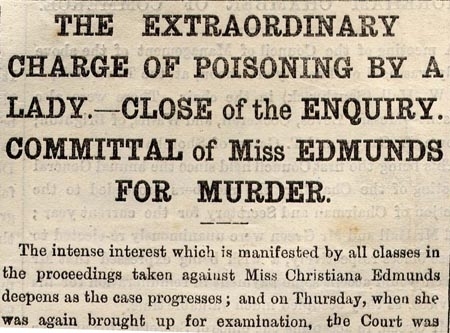 Christiana Edmunds, Brighton’s famous chocolate murderer, is a case in point. In 1870 and 1871 the hitherto respectable Christiana struck terror through Brighton when she took a liking to lacing chocolate creams from the famous Maynard’s sweet shop on West Street (near today’s Waterstone’s) with strychnine. These she sent anonymously in parcels to prominent people in the town. Apparently, some she just took back to the shop, after injecting with poison, saying she’d bought the wrong chocolates and would like to swap. In order not to arouse suspicion she slipped money to unwitting beggar children to go to the sweet shop for her. Police in the town were nonplussed and at a loss to explain why noteable Brightonians were suddenly receiving these ‘gifts’. It wasn’t until the four year old Sidney Barker died from eating one of the contaminated chocolates that the finger of blame at last came to rest on Christiana’s head. Her motive, apparently, was revenge. After Dr Beard, the married doctor with whom she was having an affair, decided to finish things, what better way to get back at him than poisoning his wife? Maybe she roped in the others to create a smokescreen or just discovered a taste for poisoning and couldn’t stop herself.